Route 23 Tours provides bus fundraisers from Livonia, Michigan. Route 23 Tours is the best choice for bus fundraisers and bus tours from Livonia Michigan. For a free no-obligation quote on your next Michigan bus fundraiser or bus tour please call 810-577-8929 or use our Contact form. Learn more about Livonia Bus Fundraisers Please call us for Michigan bus fundraisers from Livonia or any city in Michigan. Livonia is a city in the northwest part of Wayne County in the U.S. state of Michigan. Livonia is a very large suburb with an array of traditional neighborhoods connected to the metropolitan area by freeways. The population was 100,545 at the 2000 census. The 2008 Census Bureau Estimate places the population at 91,220, making it the ninth largest city in Michigan. The municipality is a part of Metro Detroit, and located approximately 13 miles (21 km) northwest from downtown Detroit, and less than two miles (3 km) from the western city limits of Detroit (Redford Township lies in between the two). We used Route 23 for our dance companies fundraiser. John was wonderful to work with. This was my first time planning a bus trip and somethings I was clueless on. He was so helpful and answered all of my questions with lots of info. Busses were clean and drivers were fun. We will be using them again this fall for another fundraiser. You won’t be let down I highly recommend Route 23! We did a birthday/fundraiser trip to Greektown...John was helpful while planning the whole thing. The coach itself was really nice and our driver, Marty, was awesome! She was fun and very personable! Will definitely use Route 23 again! We hired this company for a fundraising casino trip for Michigan Veterans in need, Downriver for Veterans. Although we had a slight hiccup, John went above and beyond to rectify the situation. He has proven he cares about helping the Veterans in Michigan. I will recommend this company to anyone and everyone! Thank you John! John Henry tours sends busses to Modern Craft in Au Gres. They are always great, respectful groups and we always look forward to having them in. Great Job John. The peoole always have a blast! John and Route 23 did fantastic job with daughter's softball team fundraiser! Hopefully, making this a yearly thing. For our 50 year class reunion, we took a trip to the Tiger game. Everyone was impressed with the spotless bus and friendly driver. It was a fantastic trip and everyone loved it! Thanks so much John! 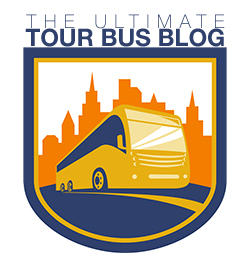 John Henry and Route 23 Tours are great to work with! Many many thumbs up! If your needing bus service for your event you won't be disappointed. Copyright 2017 Route 23 Tours. All rights reserved.